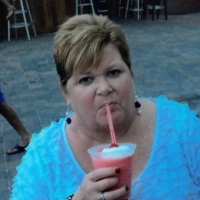 Mrs. Karen Michelle Wilson age 55 of Elkton, KY passed away Friday April 12, 2019 4:00 a.m. at Baptist Continue Care in Madisonville, KY of natural causes. Services will be Tuesday April 16, 2019 11:00 a.m. at Latham Funeral Home in Elkton, KY with Rev. Calvin Naylor officiating. Burial will follow in the Cedar Grove Cemetery in Todd County. Visitation will be Monday April 15, 2019 from 4:00 to 8:00 p.m. at Latham Funeral Home in Elkton, KY.
Mrs. Wilson was born May 3, 1963 in Logan County, KY, she was a Registered Nurse retired from Western State Hospital. Mrs. Wilson was a member of Bellview Baptist Church in Allegre, KY. She was preceded in death by her parents Janie Bryant Osborne and Jimmy Osborne. She is survived by her husband of 36 years Troy Wilson of Elkton, KY, her son Matthew Wilson of Elkton, KY, her brothers Mike Osborne of Bowling Green, KY, and Jeff Osborne of Logan County (Dot), her sister Rhonda Lewis of Russellville, KY, her grandchildren Mason Wilson and Kai Wilson, her Father In Law Gene Wilson of Elkton, KY and her Mother In Law Brenda Howard of Elkton, KY.